Year-Over-Year averages for the Santa Clarita Valley show a trend toward a stable real estate market. Some people don’t necessarily find statistics a fun subject, however they can provide some incredible insight to where we’ve come market-wise, and where we may be going. Total active listings in March of 2013 reached 403, while there were 752 available homes for sale a year later. However, this can hardly be considered an inventory glut. We’re still very short of available properties for sale. This number indicates roughly about 45-60 days worth of inventory, whereas a completely balanced market will have a 4-6 month supply on hand. “Days on Market” refers to the number of days a sale property is actively on the market before an offer is accepted and escrow is opened. March of 2013 had an average “DOM” of 86, while March of 2014 saw an average of 68. This means that while inventory is on the rise, buyers are snatching homes up on average faster than they were this time last year when there was less inventory, and interest rates were almost a whole percentage point lower. This is incredibly significant as more homeowners see positive equity in their property value. As we all know, real estate values dropped significantly in the wake of the Great Recession between 2007-2011, and many homeowners were forced into foreclosure, or were spared through the short sale process. To see such a significant drop in the number of short sales can give confidence of a rebounding real estate market to both buyers and sellers alike. We had to go back to February for this number, as that’s the latest statistic we have. February 2013 saw median single family home values reach $379,000, while a year later they peaked at $439,500. This is not only great news for homeowners, but it shows a trend toward continued growth in values. If you purchased your home a year ago, you’ve experienced a decent amount of leverage for your investment. 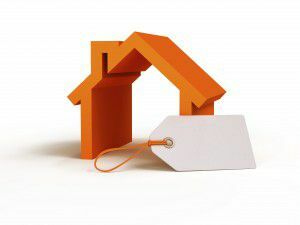 So what’s next for the Santa Clarita real estate market? We have answers to your specific real estate questions and solutions for your specific real estate needs. Our experienced agents can help you plan your future and help you reach all of your real estate goals.